Halo Wars 2 (game, 2017). A real-time strategy (RTS) video game by Microsoft Studios/Microsoft Game Studios/THQ Nordic. Developed by 343 Industries, Creative Assembly. Official Trailer. 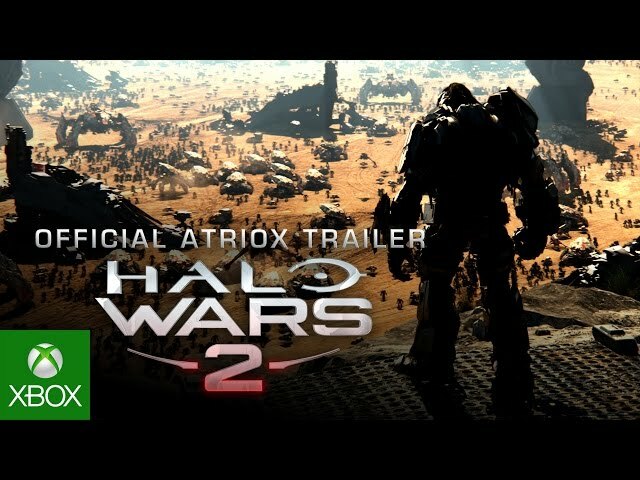 Halo Wars 2 is a real-time strategy (RTS) video game by Microsoft Game Studios, Microsoft Studios and THQ Nordic, developed by Creative Assembly and 343 Industries. 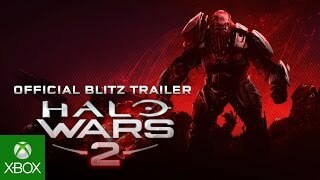 Halo Wars 2: Blitz Multiplayer Beta Trailer. Halo Wars 2 takes place in the science fiction universe of the Halo series. The game is set in 2559, 28 years after the events of Halo Wars and shortly after the events of Halo 5: Guardians. Halo Wars closes with the crew of the UNSC warship Spirit of Fire entering cryosleep and drifting in space. Since then, the war between humanity and the alien alliance known as the Covenant has ended, and Spirit of Fire has been declared lost with all hands. While Spirit of Fire is adrift in space, the ship's artificial intelligence (AI) Serina (Courtenay Taylor) terminates herself before succumbing to rampancy, a terminal state. Captain James Cutter (Gideon Emery), Professor Anders (Faye Kingslee), and the rest of the crew wake from cryosleep at the Ark, a Forerunner installation capable of manufacturing large ringworlds known as Halos. Isabel (Erika Soto) is a UNSC logistics AI operating at a research facility on the Ark when an alien faction called the Banished invades. The Banished are led by the Brute warlord Atriox (John DiMaggio) and rose to power following the Covenant's demise. Serving under Atriox are the Brute general Decimus and the Elite Shipmaster Let 'Volir (Darin De Paul). Spirit of Fires crew awakens from cryosleep at the Ark and receives a UNSC signal from the surface of the installation. Spartan Red Team is deployed to investigate the signal. They recover Isabel from a base but during the exfiltration Spartan Douglas-042 is injured in an engagement with Atriox and Spartan Alice-130 is left stranded on the Ark. Back on Spirit of Fire, Isabel reveals to Captain Cutter how Atriox and the Banished invaded the Ark, which leads Cutter to declare war on them. A strike team manages to set up a forward base and defeat Decimus, who is salvaging the Ark's resources. Decimus escapes and orders a bombardment on his own base. In the wreckage, Isabel discovers information about the Cartographer, a map of key systems and weapons on the Ark. The strike team secures a Forerunner elevator and ascends to the Cartographer. 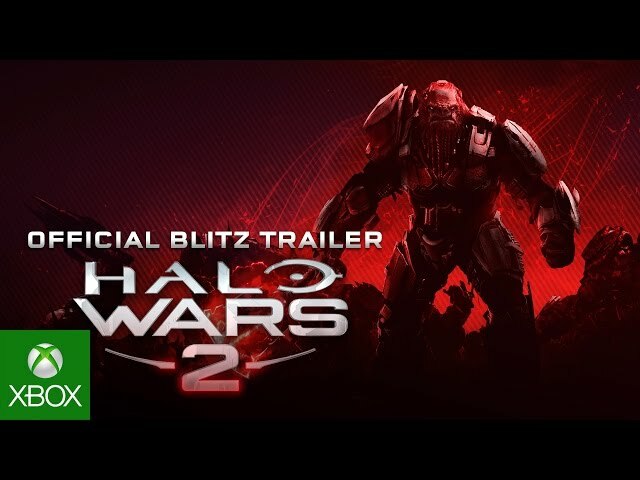 Halo Wars 2 is a military science fiction real-time strategy video game, in which players command armies from a bird's-eye view of the battlefield. The game can be played using a gamepad or using a mouse and keyboard. Like its predecessor Halo Wars, the game features two playable factions: humanity's main military arm, the United Nations Space Command (UNSC), who return from the first game, and a new alien faction known as the Banished, who serve as replacement for the Covenant. A story-based campaign mode lets players take control of UNSC forces in battles against the Banished on an ancient structure. The campaign consists of twelve missions that can be played alone or cooperatively. Each mission presents main objectives that involve capturing points, defending bases, or surviving waves of enemies, and often require the player to lead Spartan supersoldier units around the map. The campaign also features optional side objectives such as ensuring a certain unit survives over the course of a mission or destroying extra bases within a time limit. Animated cutscenes and dialogue precede each mission to provide context and integration with the game's story. Halo Wars 2 was scheduled to be released by Microsoft Studios, Microsoft Game Studios and THQ Nordic on February 17, 2017 and on February 21, 2017. This video game is available for the following platforms: Windows, Xbox One. The game had received PEGI 16 rating.